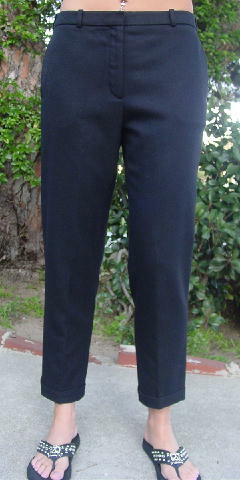 These black 100% virgin wool vintage pants are by Hermes Paris and were made in France. 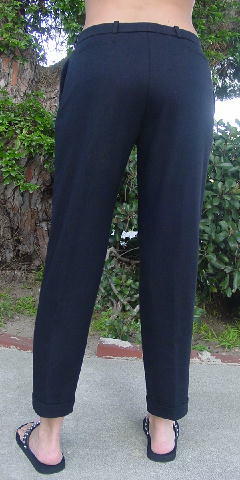 They have a 5 5/8" long zipper fly, belt loops, and a 1 1/8" wide waistband. There is an interior large hook and a black one button closure. They also have 1 1/4" wide cuffs. It's very nice soft fabric. 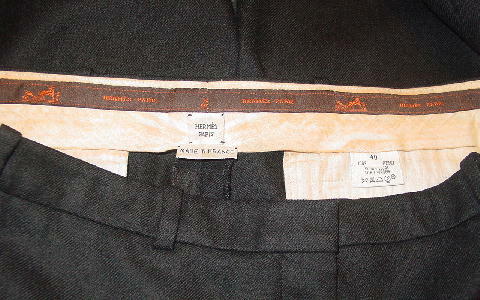 The inside of the waistband and interior bottom of the legs have orange thread Hermes Paris and horse logos. 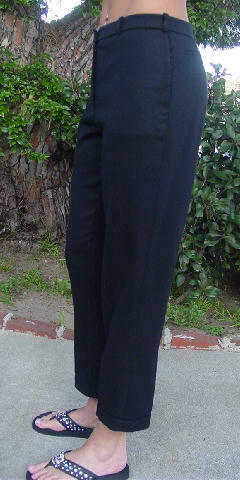 There are side seam pockets and two back pockets which are still sewn shut. They're from a French actress.